Discussion in 'Hats' started by tinmanzzz, Nov 2, 2008. A later "100" with the maple leaf crest, stars embossing & rectangular LO size tag. Don't think you could improve on that one. And the case looks pristine also. Rmccamey, AbbaDatDeHat and Hurricane Jack like this. Ok, for the life of me I can't find the 'maple leaf' and the 'stars embossed'. What am I missing? I'm really trying to find one of these in 6 7/8, and trying to understand the various eras of the One Hundred. Just Daniel, Joao Encarnado, AbbaDatDeHat and 2 others like this. I believe 1953 is the year that Stetson began production in Canada. Hence the leaf being introduced at that time. drmaxtejeda and AbbaDatDeHat like this. Stetson started using the Maple Leaf in the 50s. This helps date the hat. If one or both (you can find all combinations) have the Maple Leaf, the hat is circa 1950s at the earliest. Just Daniel and AbbaDatDeHat like this. Congratulations Jack! It's a beauty! Hurricane Jack and Bamaboots like this. Postdriver.^^^^^all the above for “Vintage” Stetsons not just 100s. Modern stuff...all bets are off. Think the started putting stars in some. Hurricane Jack, Bill Hughes, drmaxtejeda and 1 other person like this. Just Daniel and Bamaboots like this. Whew. Help me out here. I’m also under the belief the the Maple Leaf crests on US made hats are an indicator of a 50s hat. Have I been looking at it wrong? The Maple Leaf started being used in the 1950s. I believe @carouselvic was saying that Stetson opened the plant in Canada in the 1930s. Many think the two coincide but they do not. Just Daniel, AbbaDatDeHat and drmaxtejeda like this. 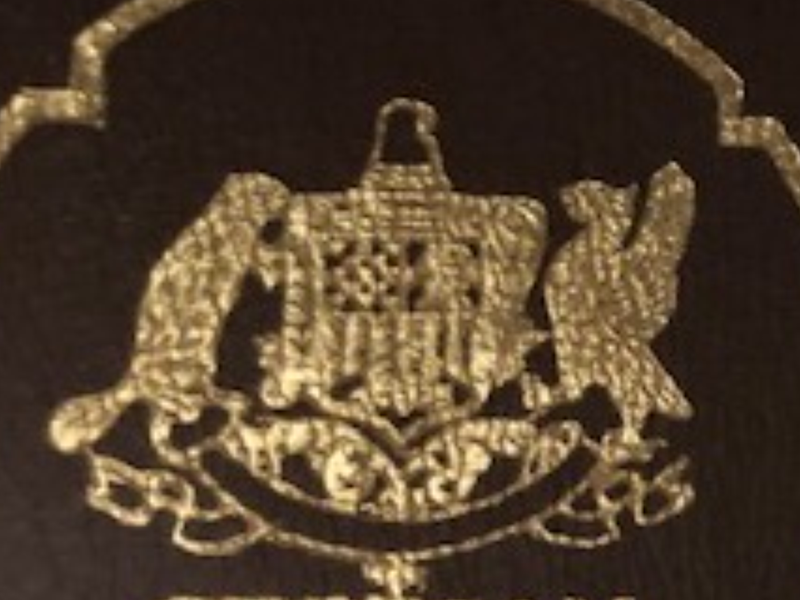 Vic, what is the quilted gold leaf look & the crest shown below? Stars joined together? No Bob, different case. As far as I know this case with the red liner is original to this hat. Rmccamey, Bill Hughes and BobHufford like this. And what was the $90 hat? Hurricane Jack, Joao Encarnado, Rmccamey and 1 other person like this. I don't mean to provide misinformation, but this has been cussed and discussed since I joined the FL, with the CW being what I wrote. Perhaps some more detailed information so we can all correct our assumptions would be productive. I don’t recall definitively ever reading what years Stetson made the One Hundreds. Does anybody know first and last years of production? Bamaboots and Just Daniel like this. Two screenshots of Open Road ads posted by Jimmy the Lid over on the advertisement thread. 1950: $50 max price. 1951: $100 max price. Not definitive proof, but a pretty good start. Lefty might have more ads. Hurricane Jack, Rmccamey and Bamaboots like this. 1950 showed the 7X as top dog (@$50 or $55) with the Royal and Royal Deluxe along at this point. From this Miller-Stockman catalog anyway. Not sure if Miller-Stockman carried them. They're not in the 1956 version either. Stetson bought a large chunk of the Wolthausen Hat Corporation in Brockville, Ontario in 1935. This was done to avoid the stiff tariffs on USA made Stetsons. Bill Hughes, Frunobulax, BobHufford and 3 others like this.